I’m a pretty orderly person. I love lists, I get excited about schedules, and having things in order for my large family puts a huge smile on my face – I’m not kidding, I literally feel like my heart is smiling! But let’s be real, not all days go according to my orderly plan, and not all things get checked off on my lists and schedules. There is a huge sense of satisfaction that comes when I see all those little black check marks on my list papers. But, I’ve learned over the years that flexibility is a great virtue to have as a homeschool mom….. it’s actually a great virtue to have in anyone, period! Some days, as great as we start off, it just doesn’t go as planned. At the beginning of our homeschool journey (8 yrs ago), this would be incredibly upsetting to me. I would be so down on myself, and feel like such a failure to my kids and husband if everything on my to-do list was not accomplished or checked off. Eventually it ended up as this heavy guilt upon me. I wanted to be the very best homeschool mom, wife and mother I could be….. and when I felt like I just wasn’t meeting my own high expectations …..
‘MOM FAIL’ fell upon me. Ever been there? I know there is some mamas out there who get this! But let me tell you, do not neglect the word of God who says that ‘His power works BEST in our weaknesses’ and ‘His grace is sufficient for you and for me” 2 Cor 12:9 This was a HUGE eye opener and relief to me when my heart really understood and got this! God is SO full of grace for us! and He desires to pour out His grace upon us ….and our day ….and our children. ~ And It’s OK to look forward to tomorrow! 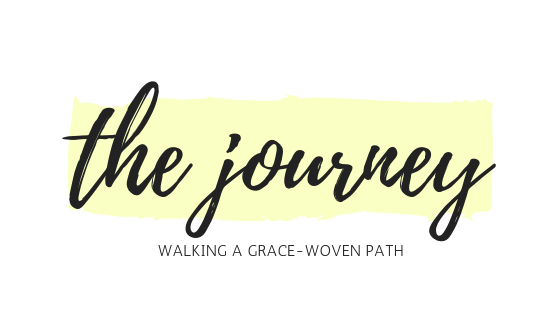 Whether you are a homeschool Mom, a working Mom, a stay at home Mom, or a busy parent in general….. there is grace for you!